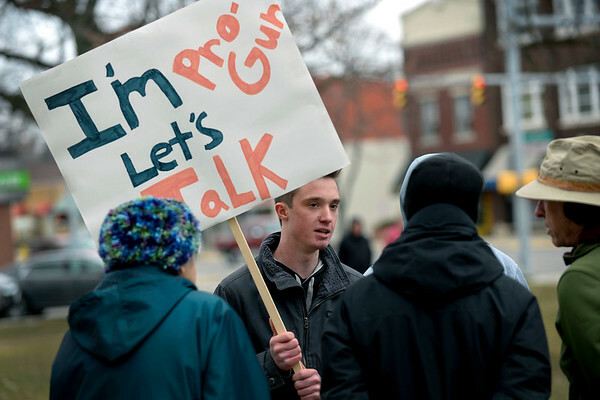 Constantine, Michigan resident Alec Weaver, a pro-gun supporter, speaks with some of the protestors gathered on the Elkhart County Courthouse lawn during the March for Our Lives protest. "I'm not trying to change anyone's mind, just to start dialogue," Weaver said. "I'm just trying to get people to understand where I'm coming from, and I want to understand where they're coming from."